Meet Yannis and hear about how he created two unique pieces. Yannis Stefankis is one of our six artists commissioned to create artistic interactive benches for the Eureka Waterfront Trail. He will be discussing both of the pieces he has created. See below for exclusive information and pictures. Pick up or print your FREE Arts and Culture Schedule Guide Now! 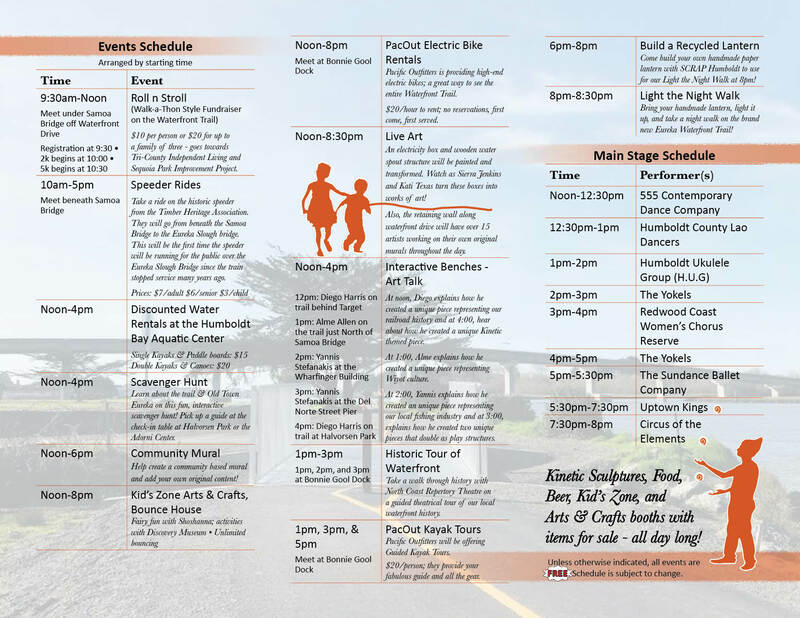 The Arts & Culture Festival schedule guides are in! Come get your all encompassing guide to the day! They’re free! You can download a PDF and print out your own copy here. Posted on September 18, 2018 September 25, 2018 Author scottqmarcusCategories Adorni Center, Announcements, Arts and Culture Festival, Bonnie Gool Dock, Halversen Park, Hikshari' Trail, Humboldt Bay, Humboldt Waterfront, waterfront trailTags arts, Arts and Culture Festival, community event, family events, free event, sep2018, special announcement, special eventsLeave a comment on Pick up or print your FREE Arts and Culture Schedule Guide Now! 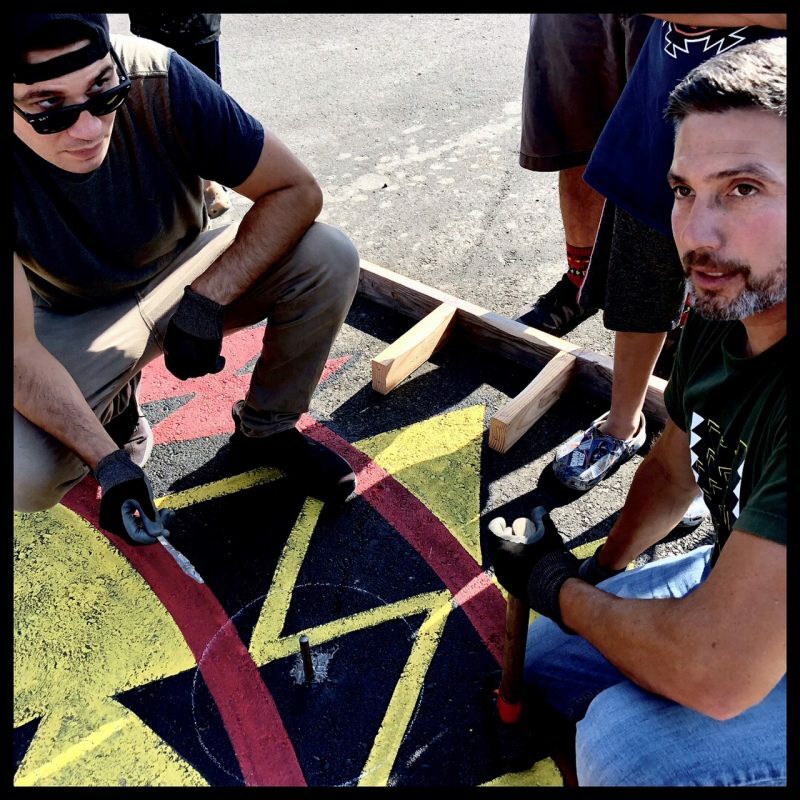 Meet Alme and hear about how he created a unique piece representing Wiyot Culture. 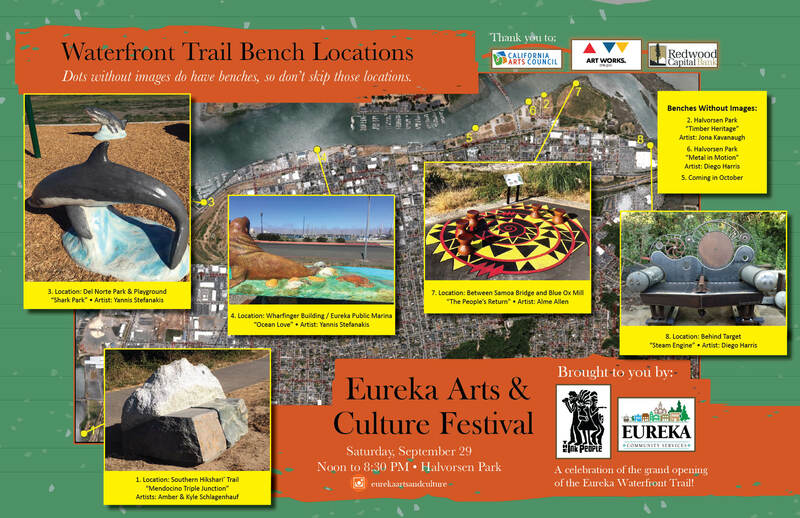 Alme Allen is one of our six artists commissioned to create artistic interactive benches for the Eureka Waterfront Trail. This bench is located past the Samoa Bridge before Blue Ox Mill and is already installed! See below for exclusive information, pictures and a short video. Help us get ready for our huge Arts & Culture Festival. Join us for a 60 minute cleanup at Halvorsen Park on September 28. Meet at the Adorni Community and Recreation Center at 2pm to get all your supplies.